Keep a piece of cut onion in a container alongside your cut avocado or prepared guacamole to preserve its color and freshness. This is a guide about keeping avocados and guacamole super fresh. I've tried all the various methods of keeping my avocados and guacamole fresh, but this is by far the best yet. 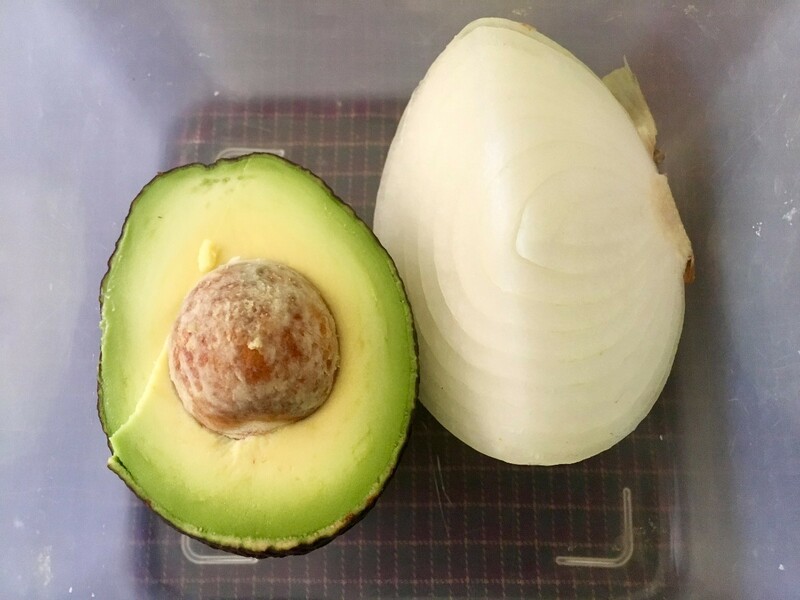 Keep a piece of cut onion in a container alongside your cut avocado or prepared guacamole and it will stay fresh and bright for several days. The enzymes in onions that make you cry when you cut them are the same ones that keep your avocados fresh. Don't worry about the taste or scent of the onion transferring over to your avocado, it won't happen! Good tip. I usually do not have any cut avocado left to store but I will remember this if I do.